A Western Digital RE4 1TB 3.5″ SATA Internal hard drive has risen in price from just over £72 to a current high of £216 and the 2 TB version has gone from £129 to an astonishing £323. Now some may say suppliers and manufacturers are profiteering of the back of the disastrous flooding .Other may say its simple economics of supply and demand. However with the prices looking like they are here for some considerable time to come cheap DVRs are a thing of the past and this will definitely slow demand for all things megapixel as storage and falling prices are key to its success. 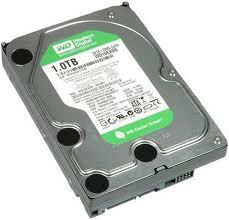 We will continue to watch the prices of hard drives and keep you up to date as they hopefully begin to fall back towards the summer. This entry was posted on Saturday, February 18th, 2012 at 08:33	and is filed under CCTV. You can follow any responses to this entry through the RSS 2.0 feed. Both comments and pings are currently closed.